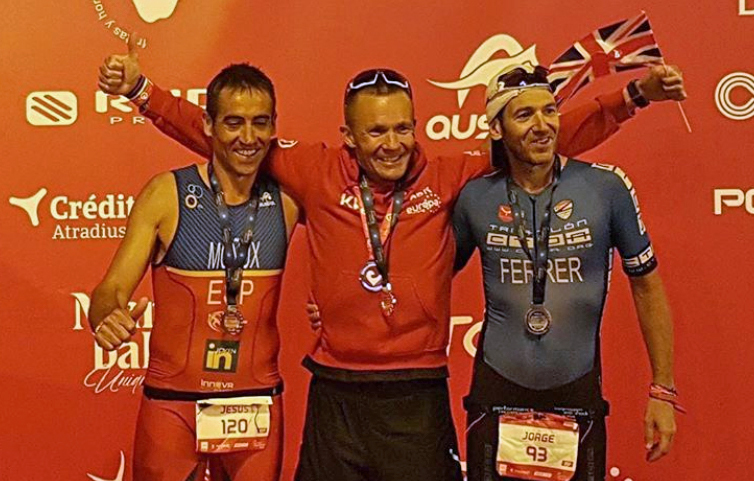 PLYMOUTH triathlete Ken Holder claimed gold in his age category at the ETU Challenge Long Distance Triathlon Championships in Madrid at the weekend. Holder had previously won a silver and bronze at the event, but he finally made it to the top of podium in Spain to complete the full set of medals. He took victory in the men’s 45-49 year-old category by more than half-an-hour. On a tough course, Holder finished in 10 hours, 56 minutes and 50 seconds. He completed the swim in 58.50 minutes, the cycle in 5:54.11 and the marathon run in 3:59.58. Second place went to Jesus Monux Diez in 11:31.48, with Jorge Ferrer Garcia taking third in 11:35.35.